A few months ago I got a very nice finger foods cook book and I found this very interesting recipe with quinoa. I have been thinking of making it for a long time and last week I had the chance to make it for an afternoon snack. Originally the recipe suggested that the croquettes be deep fried, but I took the alternative way of making use of a dutch oven or kuzhi appam pan. The quinoa got toasted well and the outer layer was crunchy while the inner was soft. It however tasted best when hot off the stove. The melted cheese makes it extra special. Maybe the next time I would deep fry and see how it turns out. This recipe is adapted from "Finger Food" book and is modified to suit my taste.My entry to Priya 's event Healthy Me and Us. 1. Heat the frying pan with some oil. Add green chillies, onions and salt. Cook it until the onions are well done. Add the grated ginger and allow it to cool. 2. 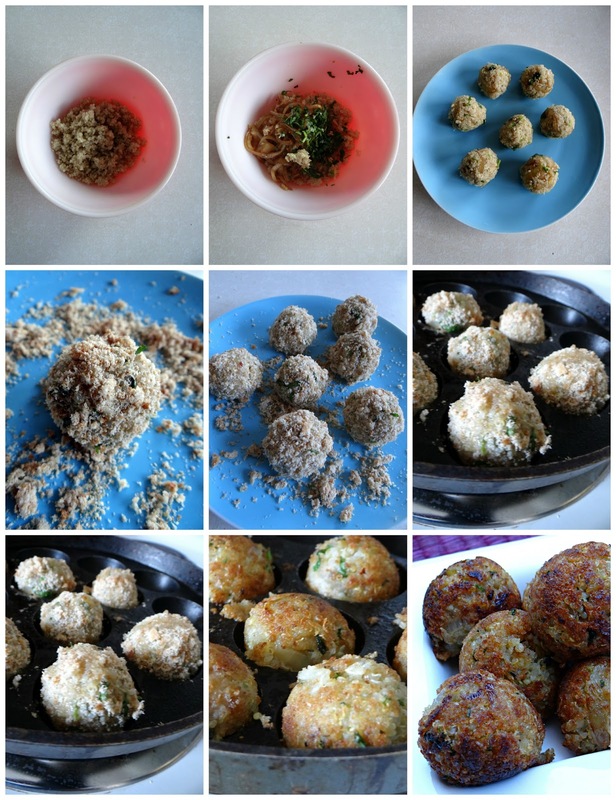 Mix the cooked quinoa, onion mixture and cheese in a bowl and make small balls. Cover keep it in the fridge for 30 minutes. 3. Add the bread crumbs to a plate. 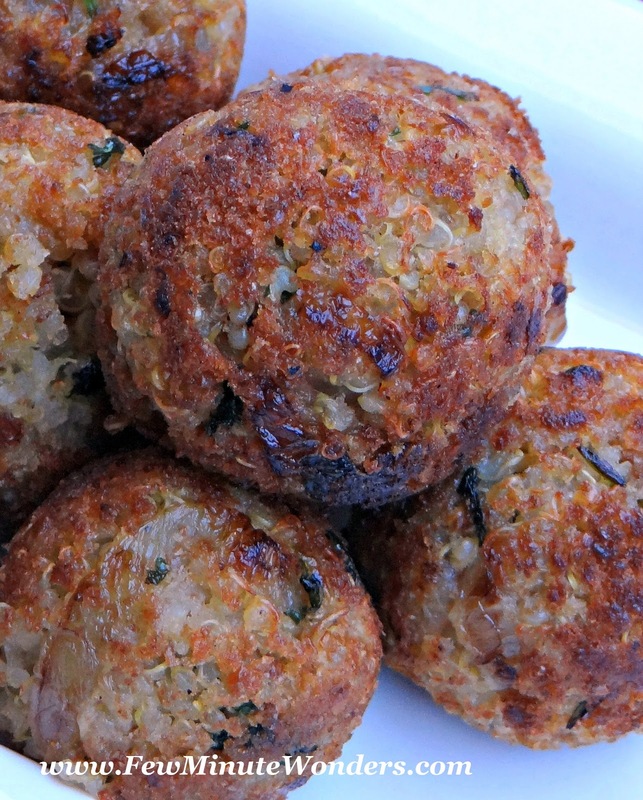 Roll the quinoa balls in the bread crumbs and coat it well. 4. 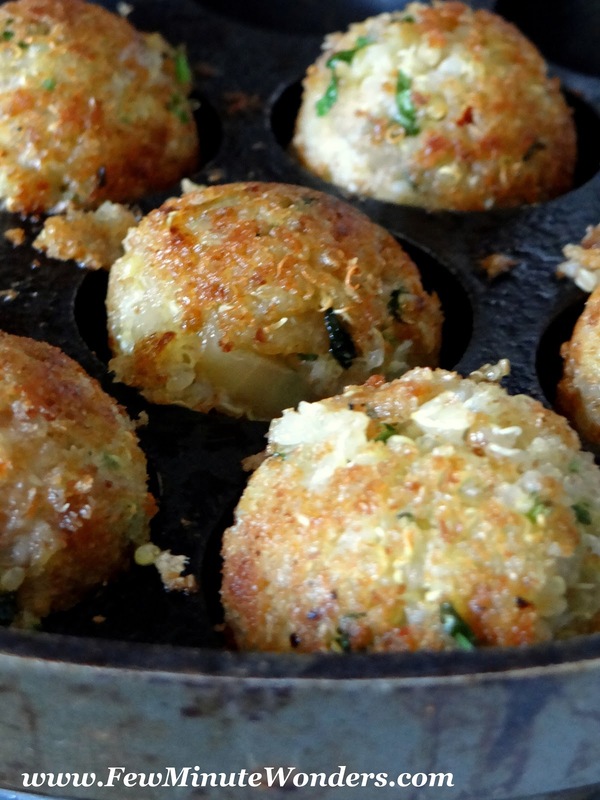 Heat the dutch oven pan ( kuzhi appam pan) and add some oil before frying the quinoa in it. Roast it on medium uniformly. It will be toasted evenly around. The quinoa balls needs to cooked slowly because, the cheese needs to melt and the insides of the quinoa needs to heat up. 5. Serve with ketchup or any chutney of your choice. Very innovative, loved the idea, healthy too. Looks crisp. Nice effort Srimathi. I am following you. Those guilt free cuties are just mindblowing, very tempting and nutritious. Interesting and innovative. Book marked. Wow, they look awesome Srimathi, would love to try..